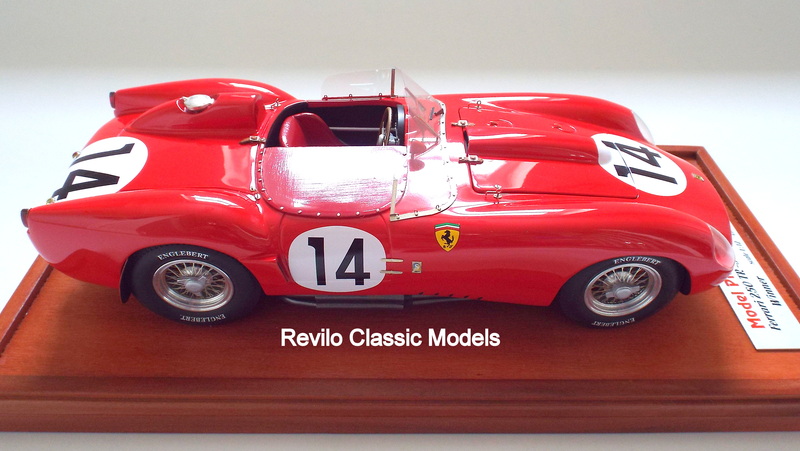 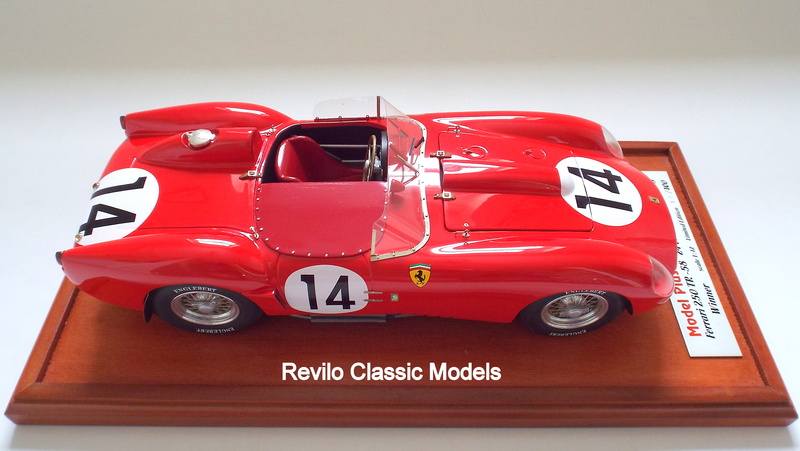 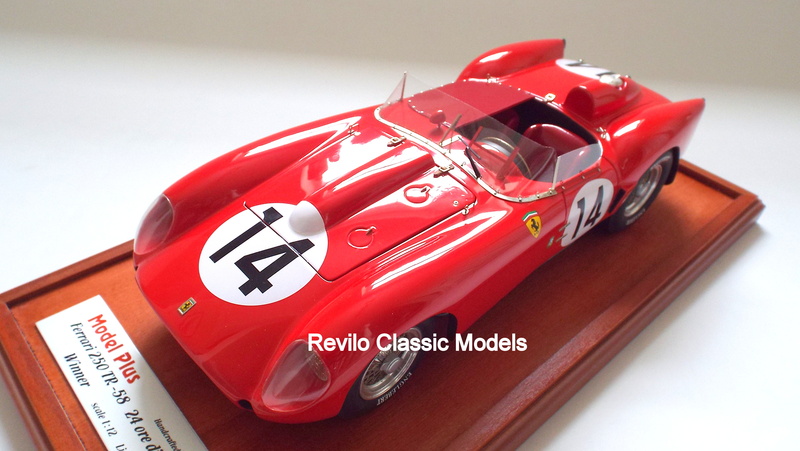 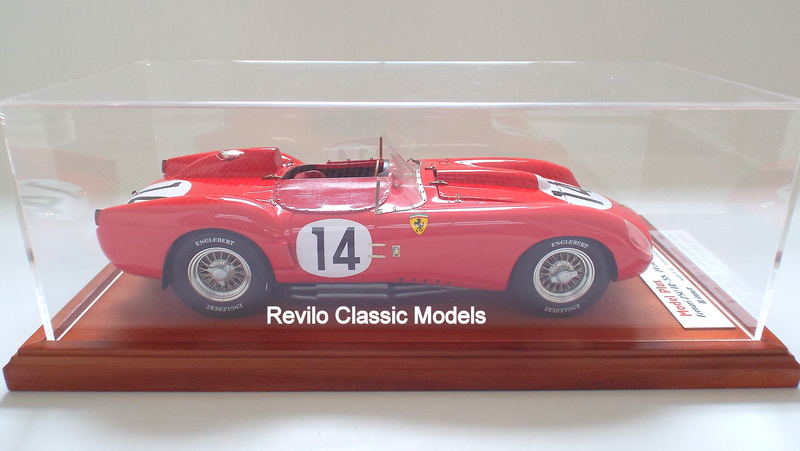 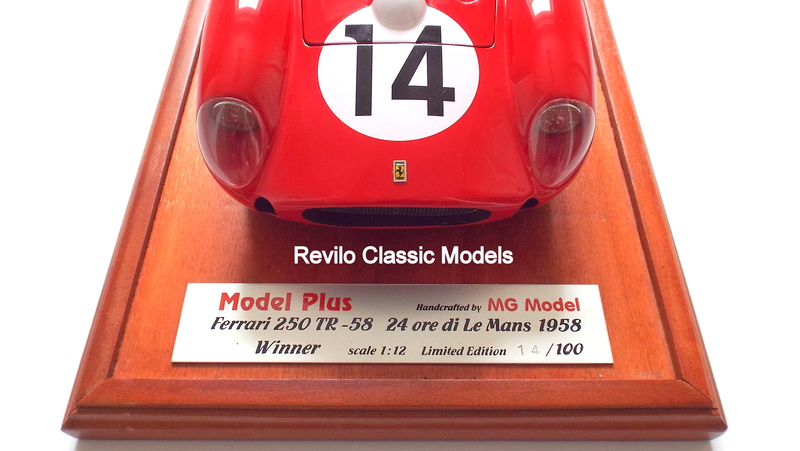 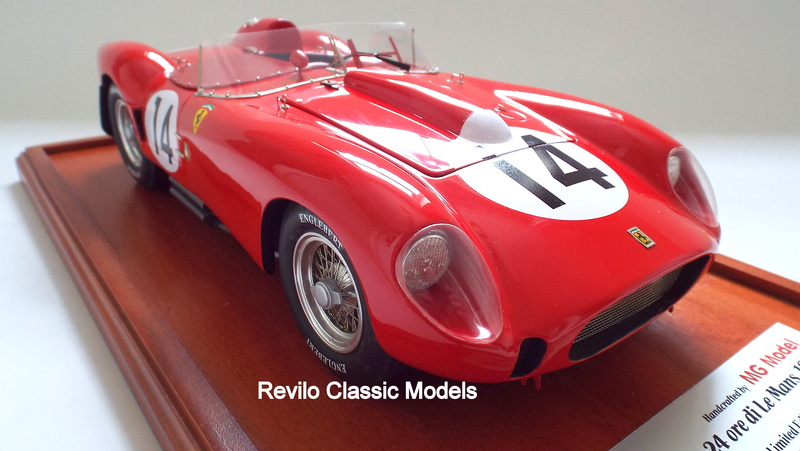 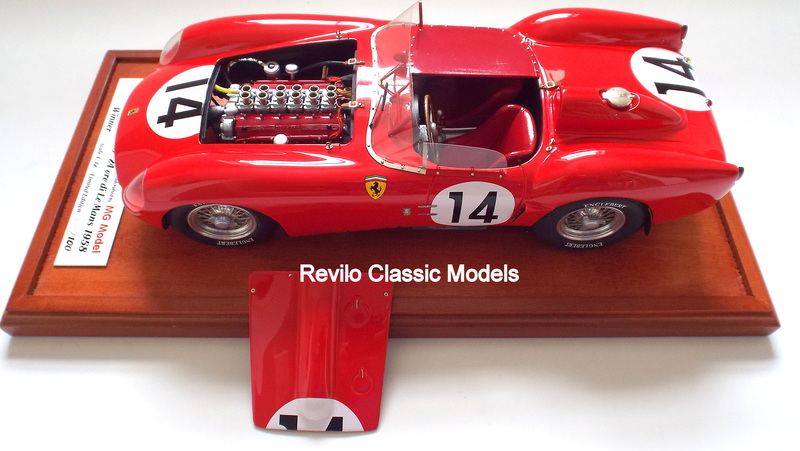 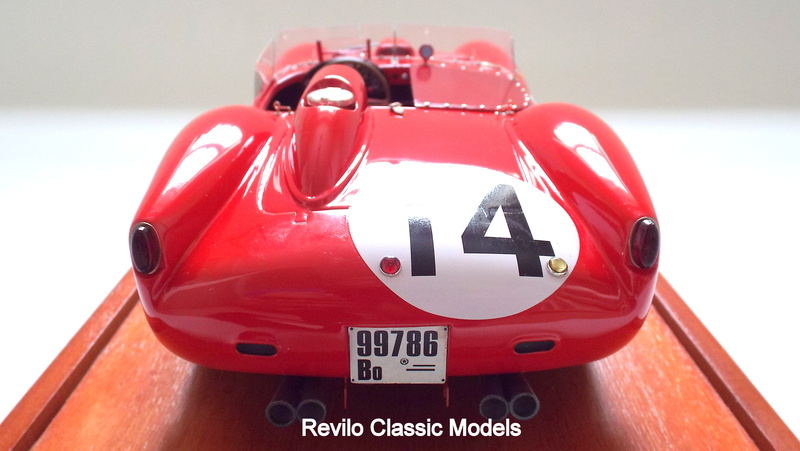 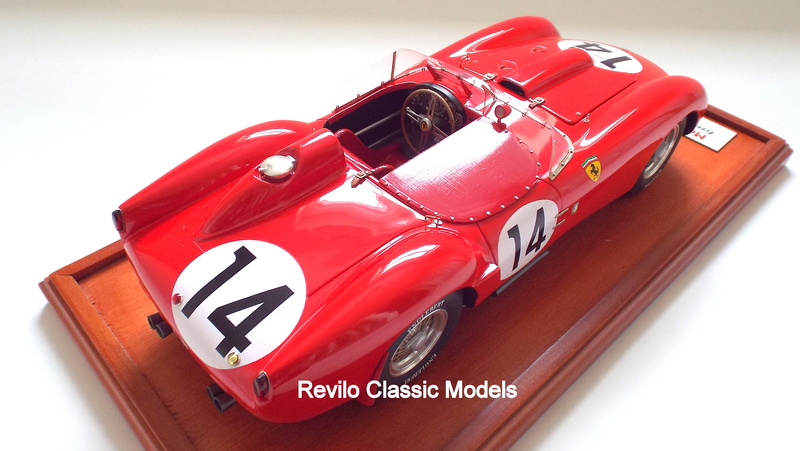 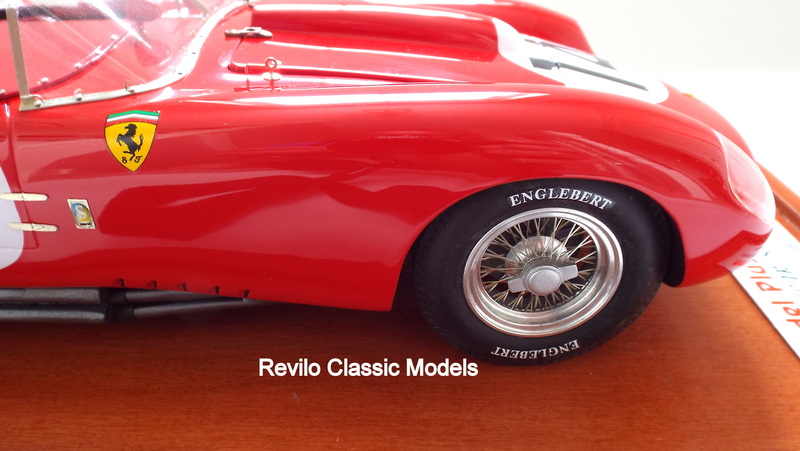 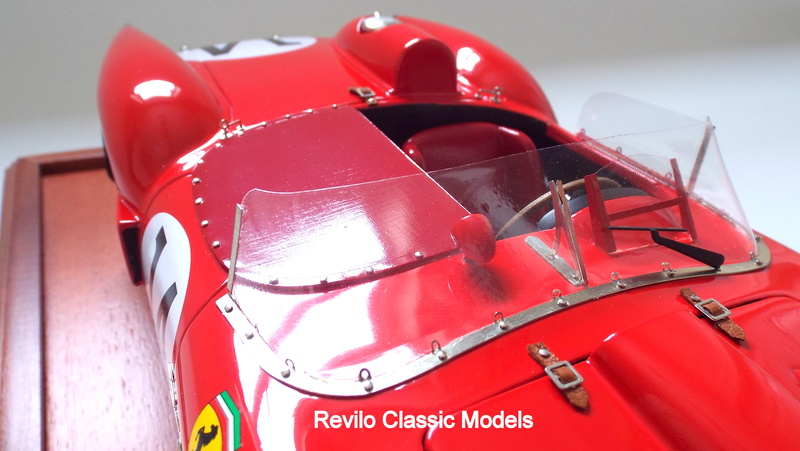 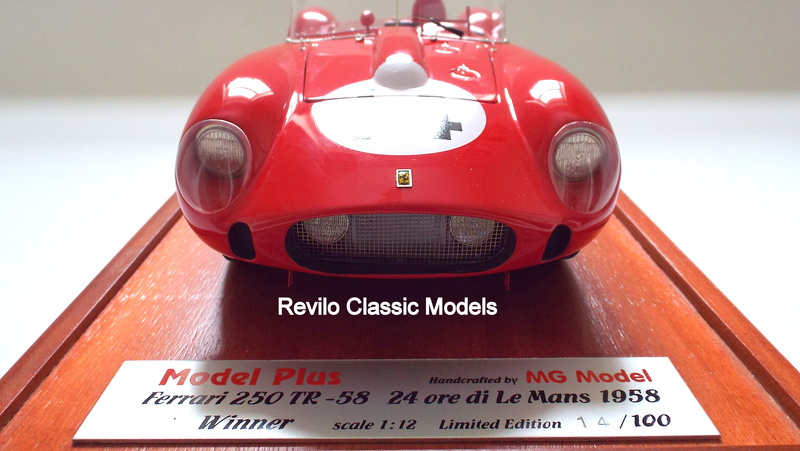 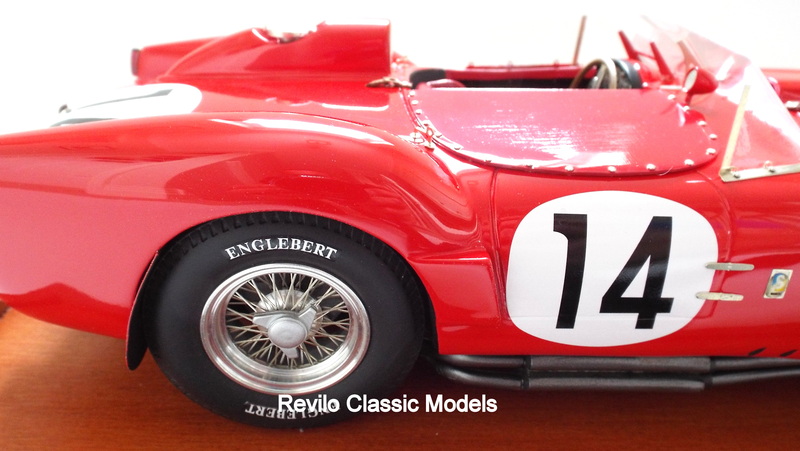 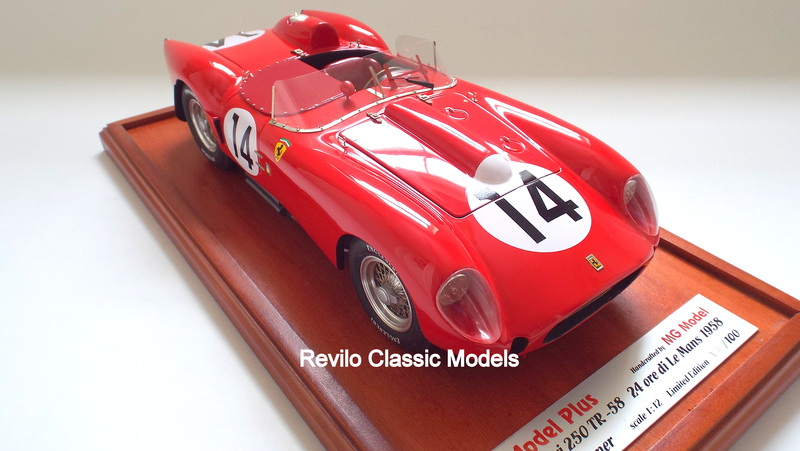 1:12 Scale Ferrari 250 TR58, 1958 Le Mans winner by MG Model/Model Plus of Italy. 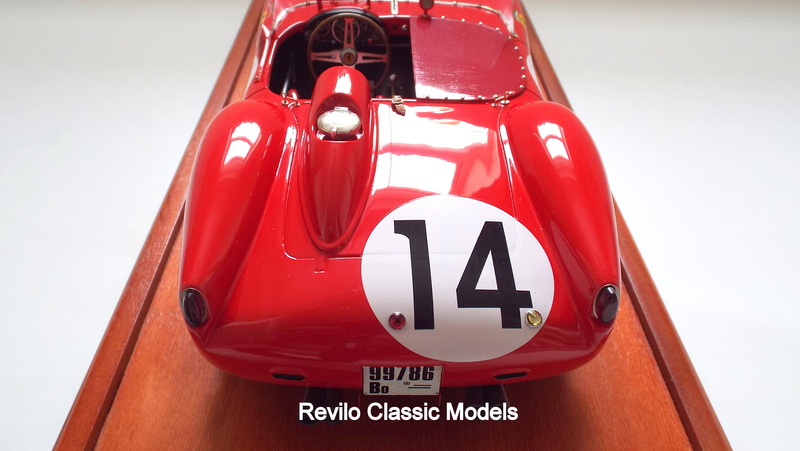 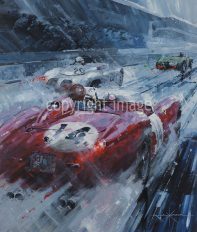 The Ferrari 250 TR58 #14 won Le Mans in 1958, driven by Oliver Gendebien and Phil Hill. 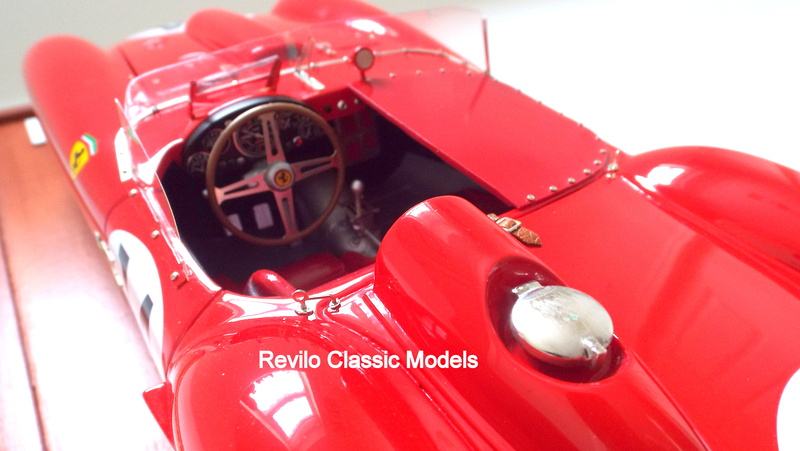 This is a very rare 1:12 scale models by MG Models/Model Plus – number 14 of only 100 models ever made, worldwide around 10 years ago. Now retired this model is no longer available brand new but this is an as new model in superb condition. 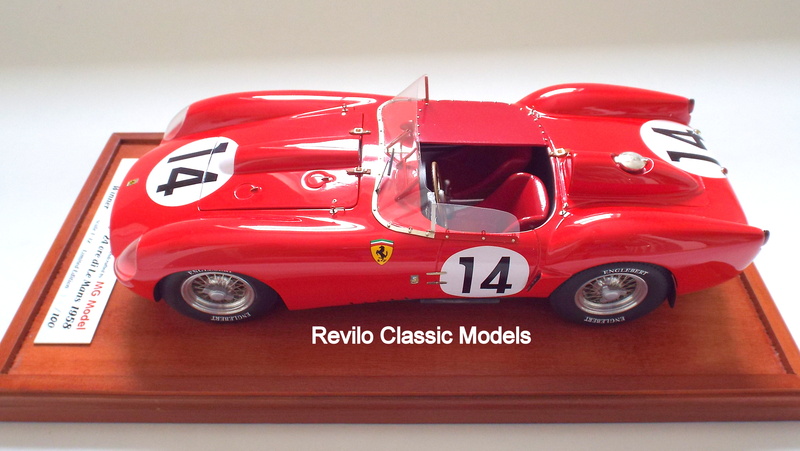 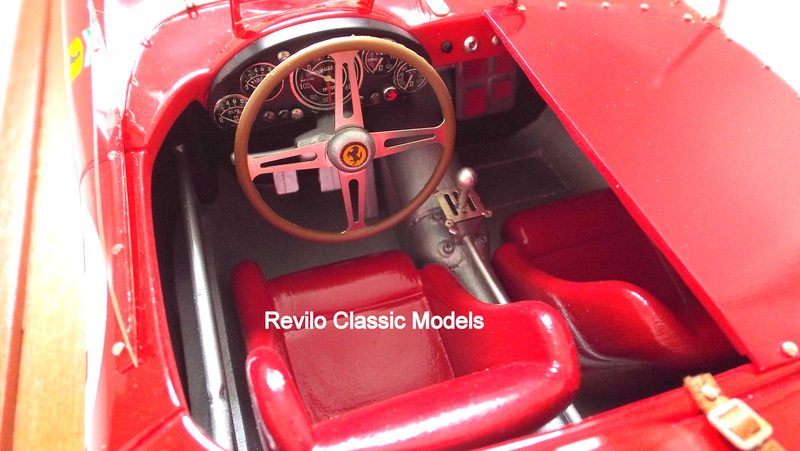 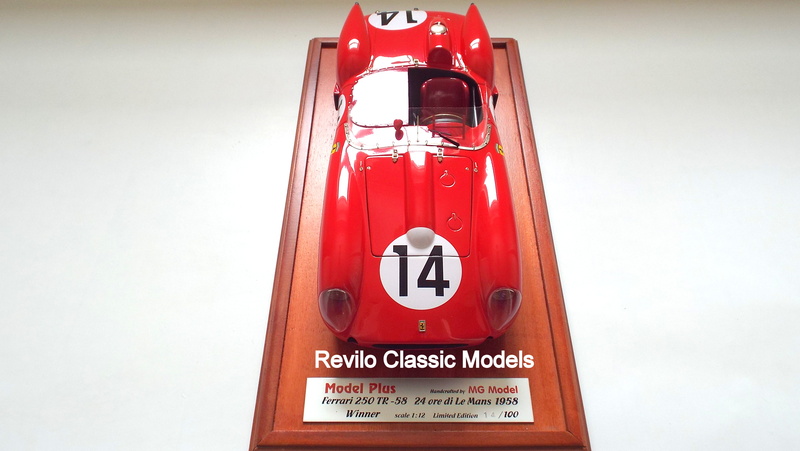 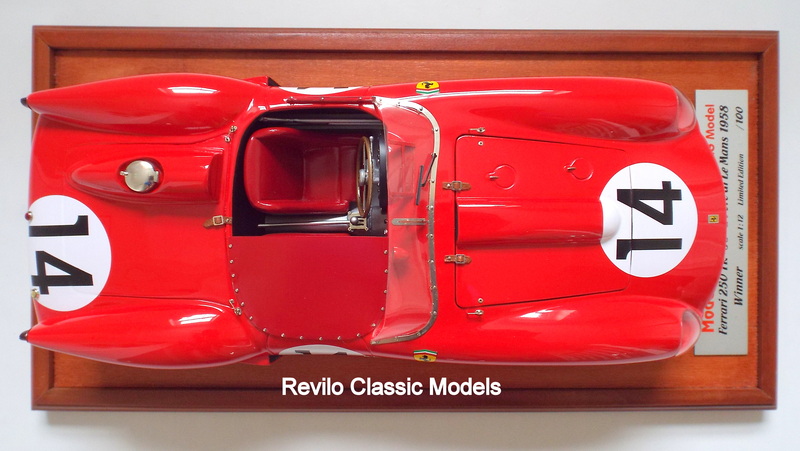 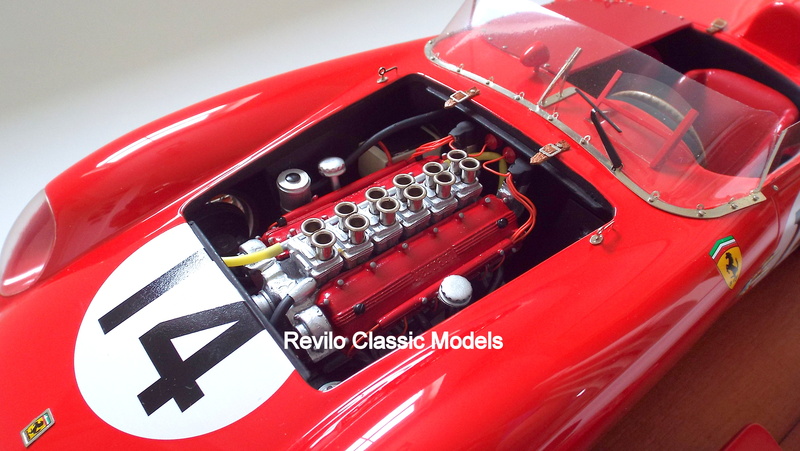 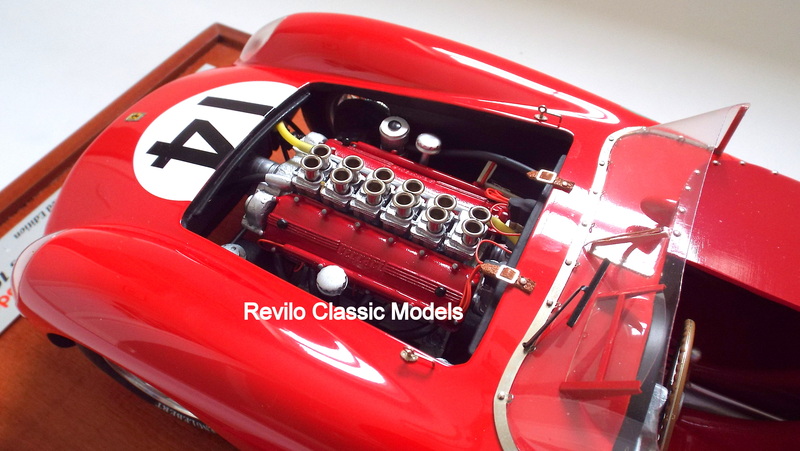 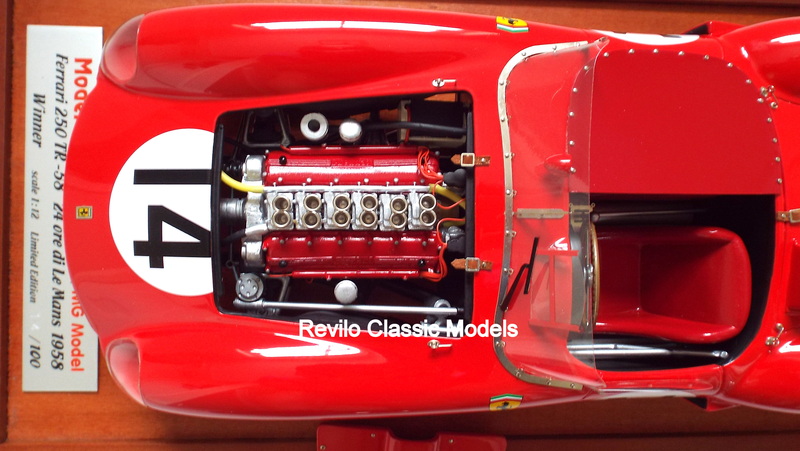 The model has a removable bonnet to reveal the V12 engine and mechanics in superb detail, it sits on a wooden plinth with a plaque detailing the model, maker and race win, it also comes with a perspex cover. 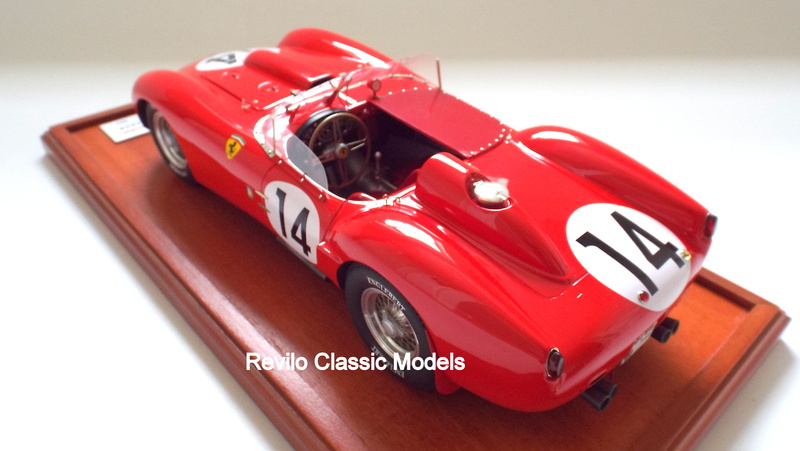 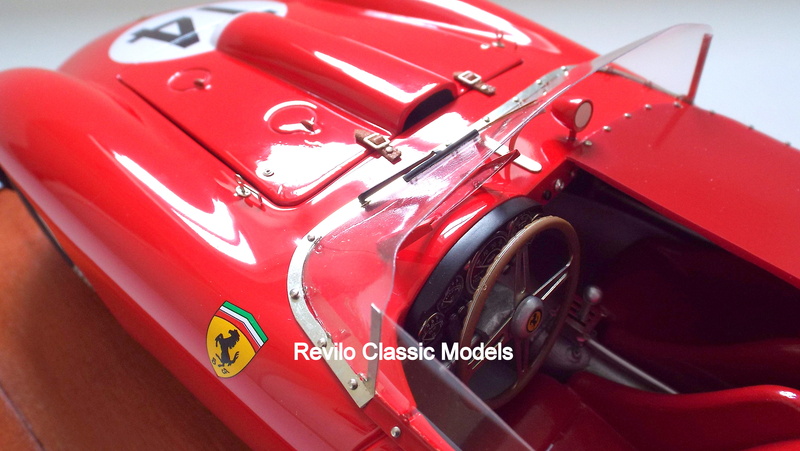 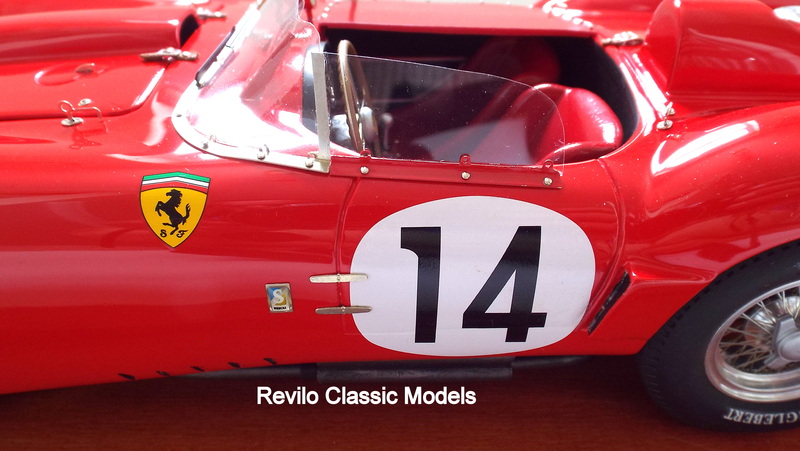 One of the most beautiful models I have ever seen, professionally handbuilt in Italy and an impressive and beautiful addition to any model collection.